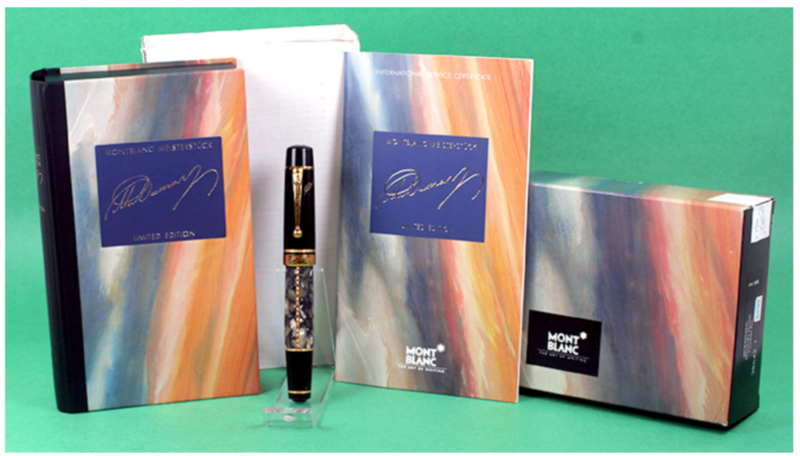 This is a 1996 Montblanc Alexandre Dumas Limited Edition piston filler in Green & Ivory with inlaid gold filled vertical bars. Father’s signature. New-old-stock. Mint in original box with barrel nib size label, papers and outer box. UPDATE: BOTH SOLD. Item #22 in Catalog #85. 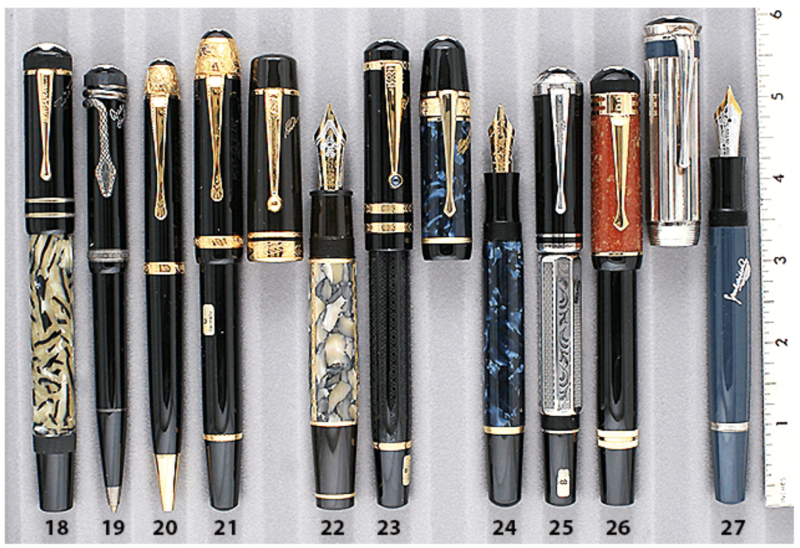 This entry was posted in Modern Pens, Vintage Pen, Vintage Pens and tagged Catalog, Catalogs, Extraordinary Pens, Fountain Pens, Go Pens, GoPens, Montblanc, Vintage Fountain Pen, Vintage Fountain Pens, Vintage Pen, Vintage Pens. Bookmark the permalink. Follow any comments here with the RSS feed for this post. Post a comment or leave a trackback: Trackback URL. Is this pen still up for sale? Spam protection: Sum of 7 + 10 ?